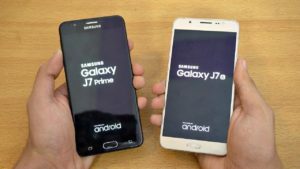 If you’re a technology buff and you love to use the best phones designed by Samsung, you must be aware of the fact that the J7 and the J7 Prime are the 2 mid-range phones which have become extremely popular and which are trending for the mobile users. They are being loved to this extent as they offer some of the most advanced features and facilities like anti-theft, creating a workspace on your phone and many more. Just as any phone is reviewed by the experts and there are many articles which mention the specific features of a phone which needs attention, we’re here to do the same thing as well. There are few hidden tricks and tips of using the new Galaxy J7 and the J7Prime which has the capability of blowing your mind. You will end up asking yourself about how it is possible to get so many features in such a mid-range phone! Let’s check out few. Can’t believe this? But it’s true! With this phone, you’re allowed to use 2 same apps, for example 2 Whatsapp apps on the same Samsung device without having to download any 3rd party app from Google PlayStore. With their new service named Samsung Knox, it allows you to create a secured workplace in your phone which would be totally inaccessible by all the other apps, except the ones that have been selected personally by you. You can make various clones of mobile apps. With the new Samsung smartphones like the J7 and the J7 Prime, you can drag and drop options to instantly move videos and images from 1 folder to another. For this, you have to open the phone gallery, tap on the specific image and hold on to it for few seconds and once you’ve selected all the images which have to be moved, drag them to the folder where you wish to move the videos and images. The files can either be moved or copied. Are you facing some kind of difficulty in going through the documents or messages due to the size of the font? If answered yes, you can adjust the size of the font as per your needs. Go to Settings, Accessibility, Vision, Font Size and then adjust the pointer accordingly so that you get the font size that you need. In case you think that the keyboard size is too small for your use and it should have been a bit bigger, then there’s good news for you. You can adjust the keyboard size of the phone according to your need. You have to go to Settings, then go to Language and Input, then on Samsung Keyboard, scroll down and tap on the feature called Keyboard Size. Once you reach there, adjust it as per your wish. If you’re using the Prime version, you can allow fingerprint scanner and use it as a method of unlocking the device. To enable this, go to Settings, then to Lock Screen and Security and click on Fingerprint. The phone will prompt you to Add Fingerprint and then follow the instructions and once you do so, you’re done. Therefore, now that you know the few hidden features of the Samsung J7 Prime and J7, what are you waiting for? Go and grab your edition and start using it.